It is time for a new Artisan Design Team blog hop, and we have a some great projects to share with you today. Have you taken advantage of the amazing bundles in the Annual Catalog? The bundles are great because they save you 15% on coordinating products. It doesn't get much better than that! Today, we are featuring the bundles on page 64 of the catalog. 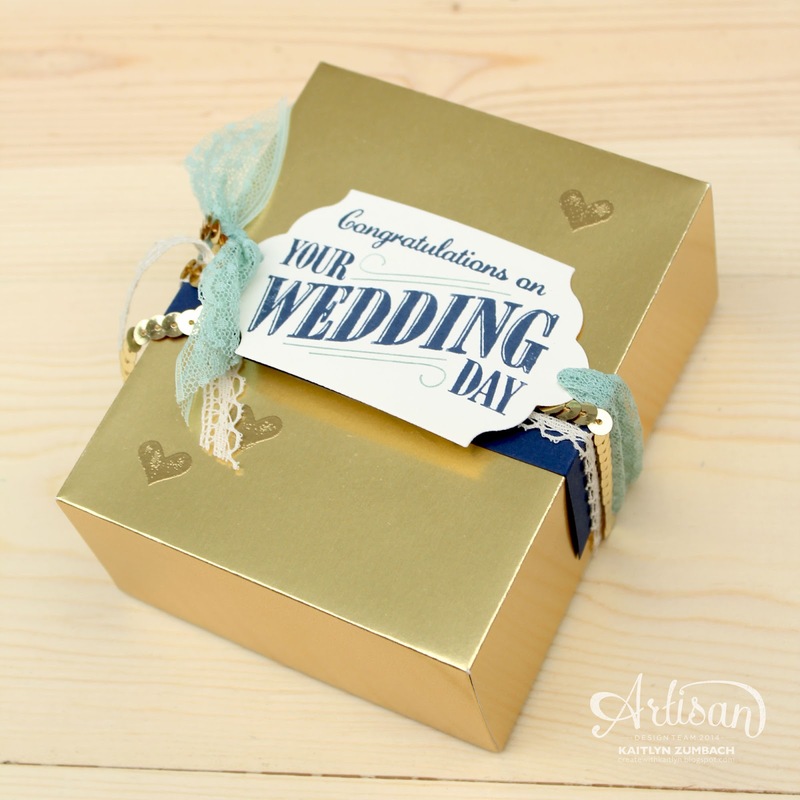 I used the Happy Notes Bundle to make a sweet little box perfect for a wedding gift. 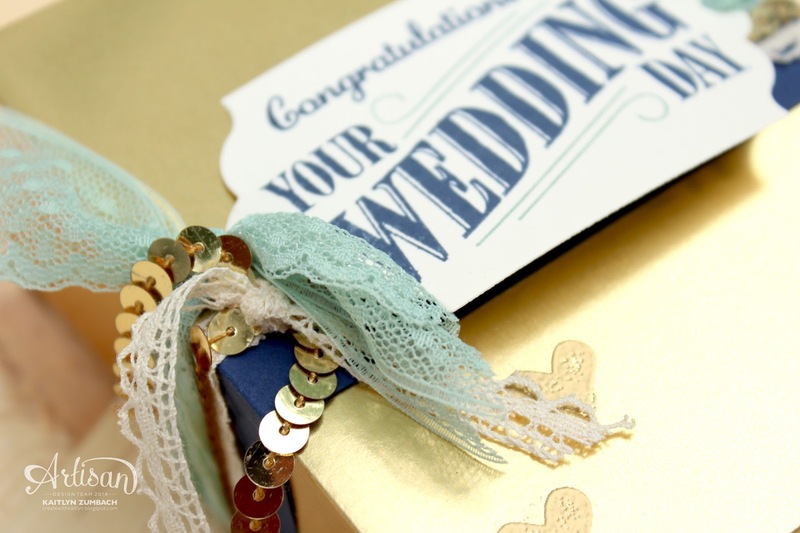 One idea of a gift to include in the box is a bunch of thank you cards. 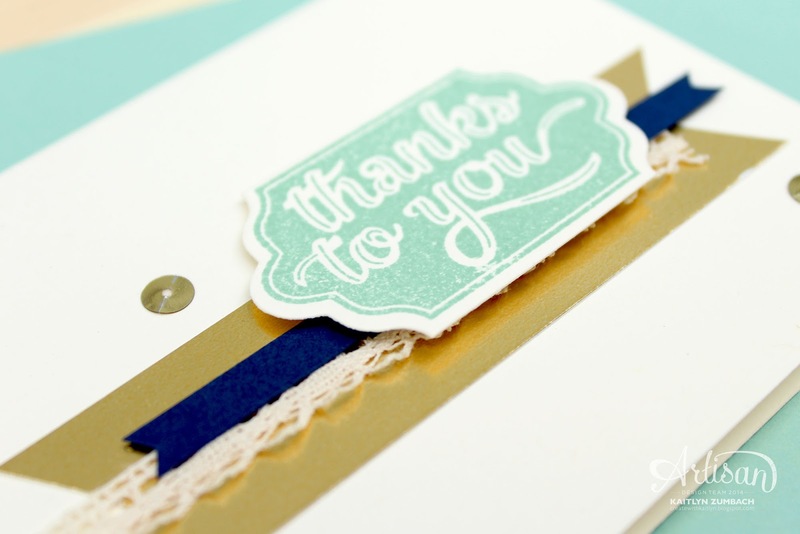 You always need thank you cards on hand so they make a great gift. There a bonus points if the cards match the box! I just simply used another stamp from the Happy Notes Set and some of the other elements from the box. These little 3-1/2" x 4-1/2" cards and envelopes fit perfectly in the box. Wow, very chic! Beautiful project! WOW is the only word I can think of.... ok maybe stunning also.